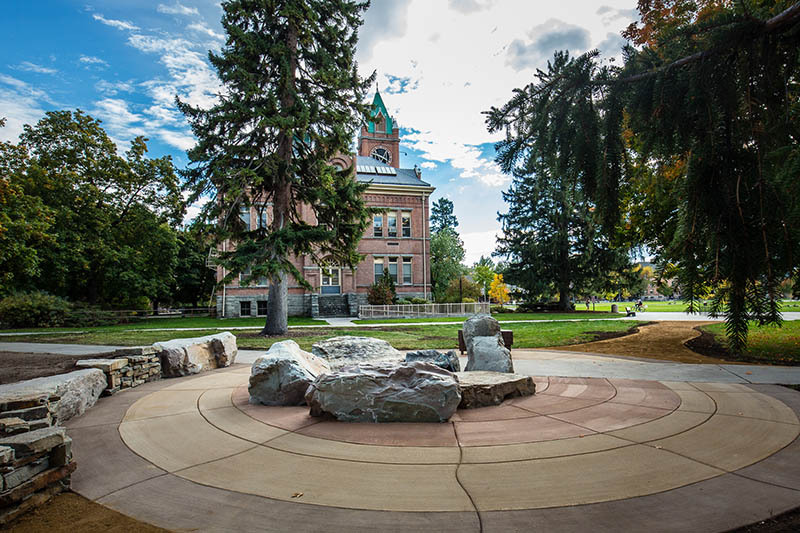 The State of Montana's official arboretum is the entire University of Montana campus. The Arboretum celebrated its 25th anniversary in 2016 (read a Missoulian article about this). 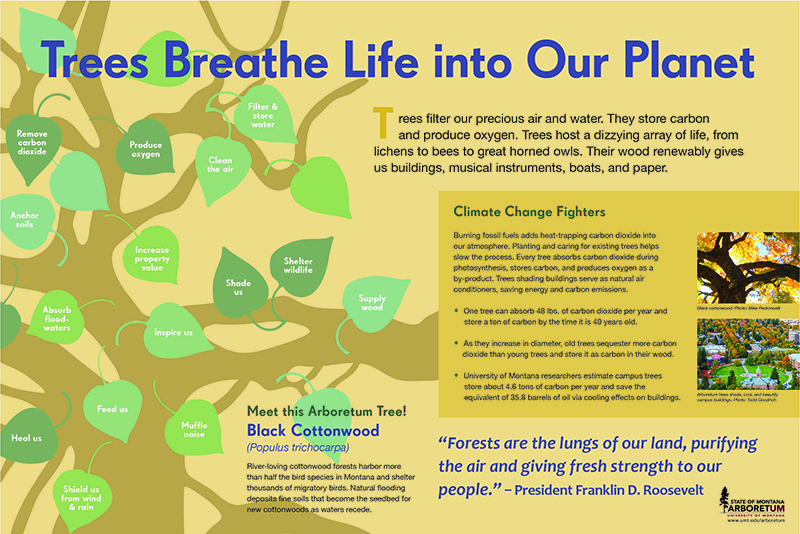 In celebration of this important resource, please add your support for the arboretum. The Arboretum Committee has been working to enhance the diversity of plantings representing North American forest regions, along with interpretive signage and online resources, including the design and construction of a central interpretive space for the Arboretum just north of Main Hall, as well as funding for student internship opportunities. The central interpretive site for the arboretum, dubbed “The Root,” was hardscaped last spring between Main Hall and the University Center. 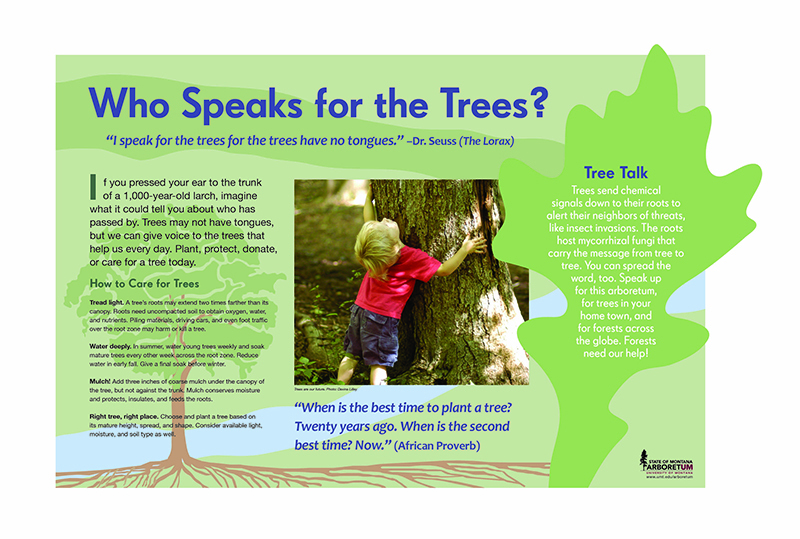 Six colorful signs brimming with tree-focused information await fabrication and installation as soon as funds are found. 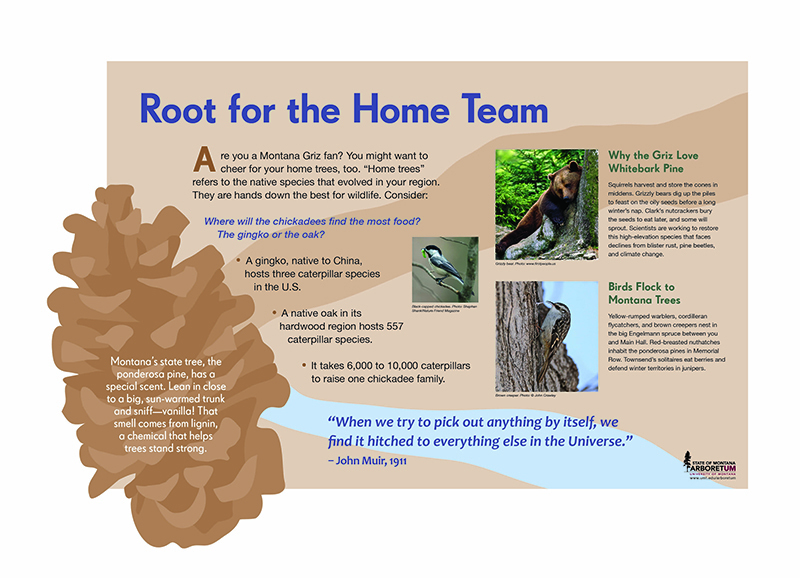 Please support the arboretum to help complete “The Root” interpretive site. 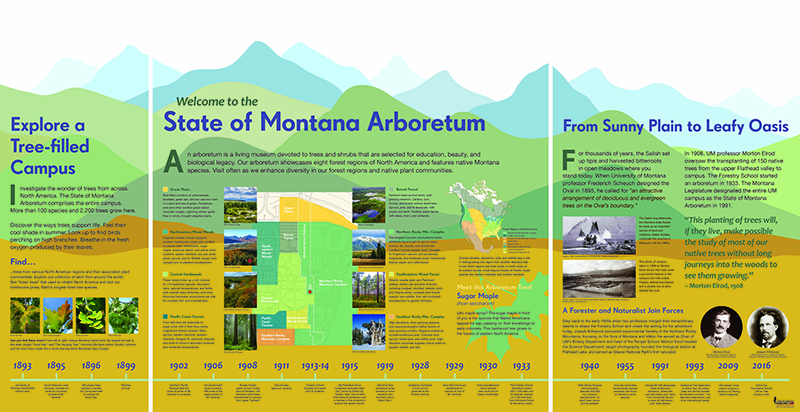 *All donors to the State of Montana Arboretum will be listed on our donor appreciation page. If you do not wish to have your name published, please say so in the comment box below.